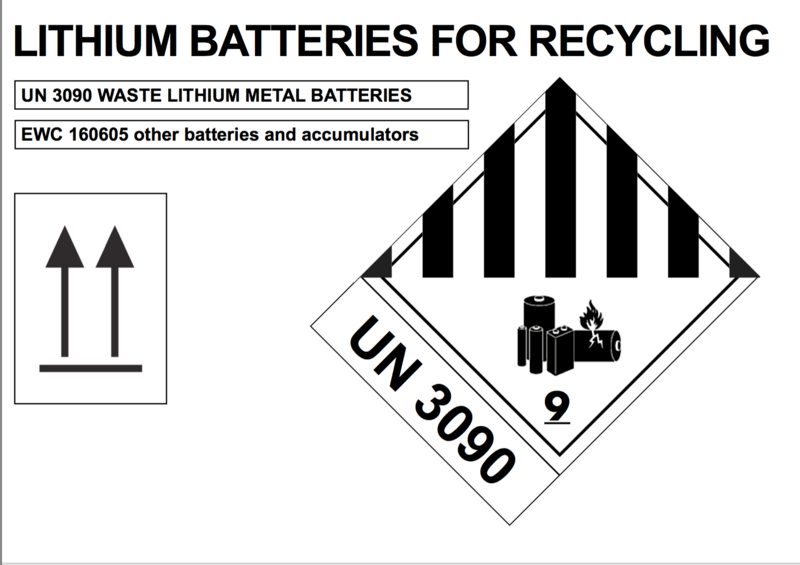 Prior to transportation, EOL batteries are to be packed according to their specific dangers. 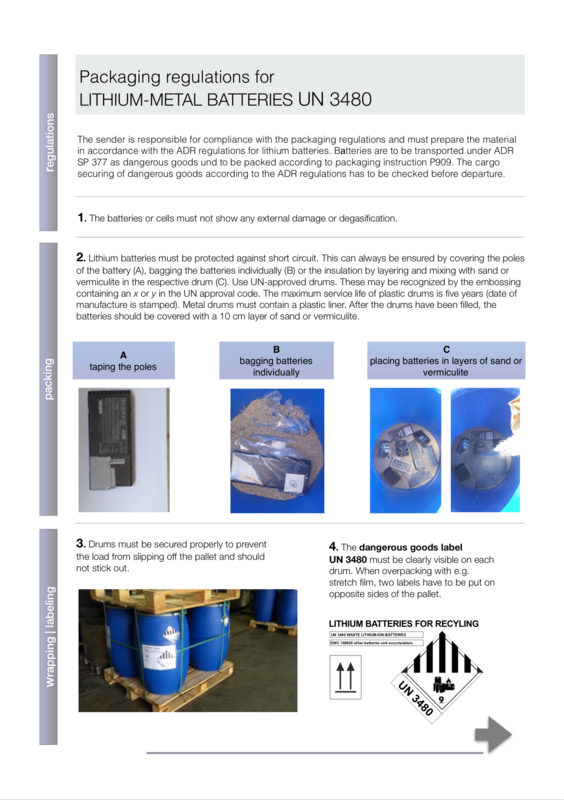 Accurec supports customers and collection points with packaging instructions (see download section) and educational seminars to ensure transportation and storage safety. 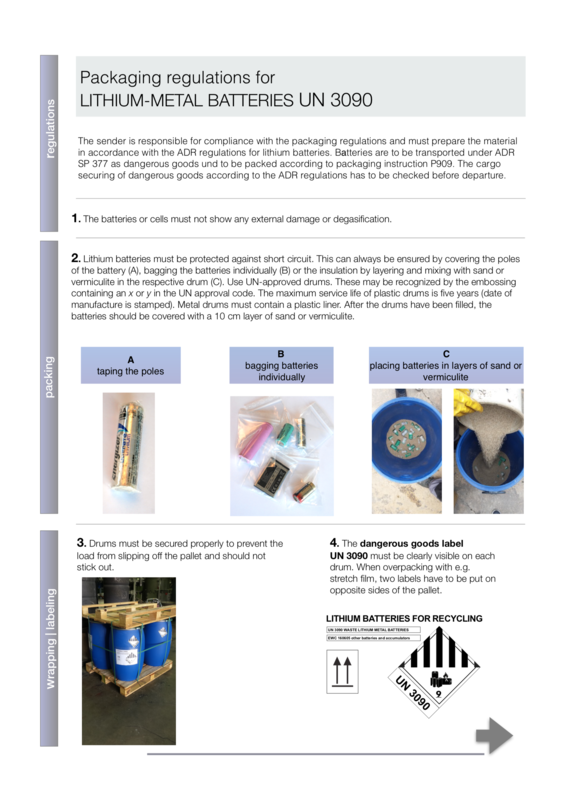 We provide standard collection bins and dangerous goods packagings including isolation material (sand/vermiculite) and labelling templates if requested. 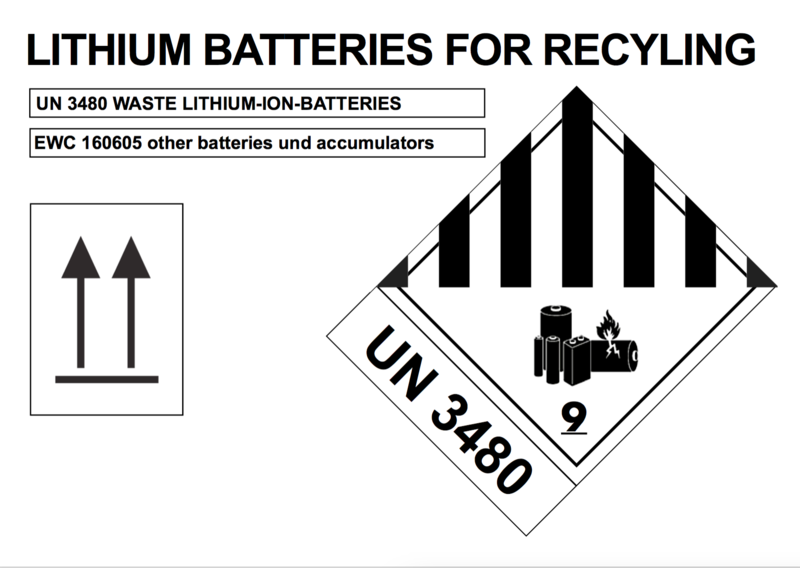 In addition to this, Accurec offers dismantling and packaging services on-site in case of complex battery storage systems.